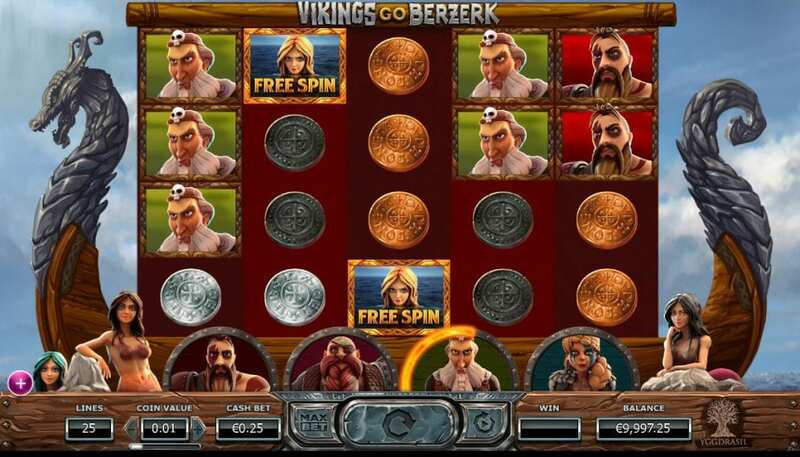 Here's a brand new slots play, Vikings Go Berzerk on Wizard Slots. After the great Romans rose and fell from power back in ancient times, the great Vikings invaded many of the Northern European countries that were under their reign and built a grand culture that many people remember for its great mythology. Find more of the these Viking themed games at Wizard Slots. 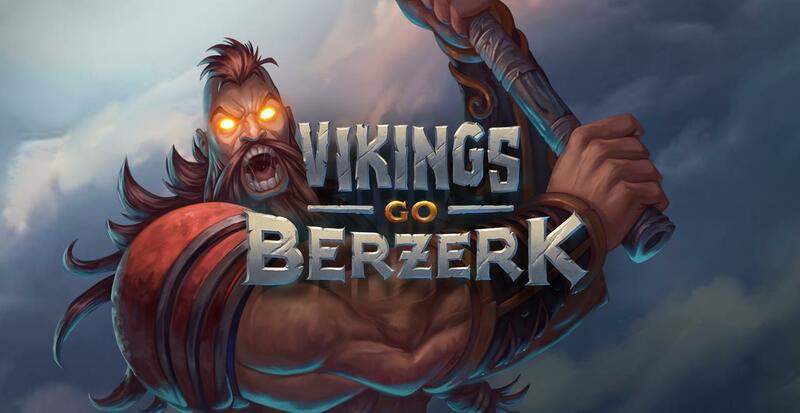 Since the developers gave themselves a name that was influenced by one of Scandinavia's myths, they cannot help but create a fantastic online slot game that many of their fans can enjoy, Vikings Go Berzerk. Expect to see a lot of craziness on your screen when you spin the reels and watch the matching combinations boost your payouts when you play the slot. And expect to experience a lot of fun and enjoyment when you get back home and load this Vikings go Berzerk on your device! After NetEnt's last CEO decided to leave the brand and create Yggdrasil in Malta, they've made it certain that they're games made for the future of the online casino gaming industry, so they will find themselves, or any of their products obsolete. Focusing their products on how adaptable to any device that their consumers use, whether it would be a laptop, macbook, tablet, or smartphone, Yggdrasil has succeeded in allowing every player across the globe to access and enjoy what they have on offer. And if you think that they are not as good as many of their suppliers say they are, then you should take a look at some of the reviews they have received on Vikings Go Wild, Nirvana, and Chibeasties! 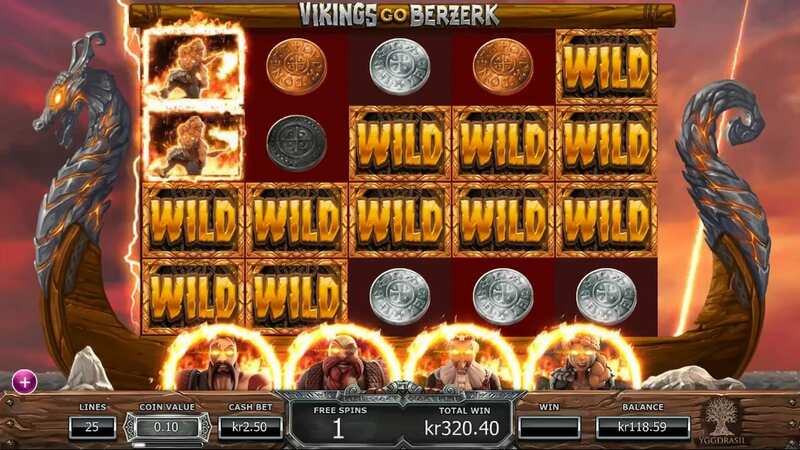 Vikings Go Berzerk is no different, a fantastic online slot. The super games from the team at Yggadsril Gaming have recently been added to our selection here at our online casino. Before the game starts, you'll see a cinematic introduction where you see stone statues depicting a typical adventure that many Vikings would have voyaged. The 5 reels with 25 paylines, hang from a traditional Viking ship that has a metallic dragon's head placed on top as a figurehead. Check out bonus features of this game below. You can also find out more games with unique bonuses that attract players! All of the normal buttons that you would find on any online slots are settled at the bottom of the screen, which makes it easy for the players to manage their bettings before hitting the spin button. As for the base symbols, you have gold, silver, and bronze coins that give you the low payouts when put into a matching combination on the reels. You also have icons that are seen as some of the Anglo-Saxon characters from the game, which give you the high payouts when put into a matching combination. But as a voyager on this game, you have to keep a sharp eye on some special symbols that can help you gain the fortune you desire to obtain. WILD Logo: This symbol replaces all of the others except for the Free Spin SCATTER. Free Spin SCATTER: When you get 3, 4, or 5 of these icons in a winning combo, you will receive either 7, 14, or 21 free spins which are all accompanied with a BONUS FEATURE. Each feature you win will be chosen at random. On the free spins mode, all of the Vikings base icons will turn into sticky WILDS. Bonus Sticky WILD: This symbol acts like the WILD logo and will stick on any position on the reels. Bonus WILD reel: Like the stick WILD, this symbol will stick on any position on the reels. Bonus Free Spins: This symbol will give you either 1, 2, or 3 free spins. Bonus Ragnarok Free Spin: This symbol will get you into Berzerk mode. Bonus Treasure Chest: This symbol is found on both base and free spin rounds. It'll be found on the 4th reel and offers you 5 prizes from which you have to pick one. Bonus Golden Treasure Chest: Bonus Treasure Chest: This symbol is found on both base and free spin rounds. It'll be found on the 45h reel and offers you 5 prizes from which you have to pick 1. Alongside your reels, you will have to watch out for how much rage you will gain on each win that fills up your meter on the game board. Once it's full, you'll also go into Berzerk mode, and receive 7 free spins. But you'll go against the villainous sirens that will try to destroy on your voyage. Don't worry, you'll always defeat the sirens on every free spin, so you will always remain victorious. There's nothing much to say about this game that Yggdrasil has developed, only that it is completely awesome, and can keep your eyes glued to the fantastic graphics and the majestic winnings that Vikings Go Berzerk can offer to you. If you want to be a Viking for hours on end, rather than watch Vikings go on their marvellous adventures on the television, don't waste any more time and play this game now! If you enjoyed Vikings Go Berzerk you will also like Planet of the Apes. Vikings go to Hell - Another Viking themed slot from Yggdrasil and this one is just as epic. Take a trip through hell with this UK slot in hopes of finding some hidden treasures that you can cash in.